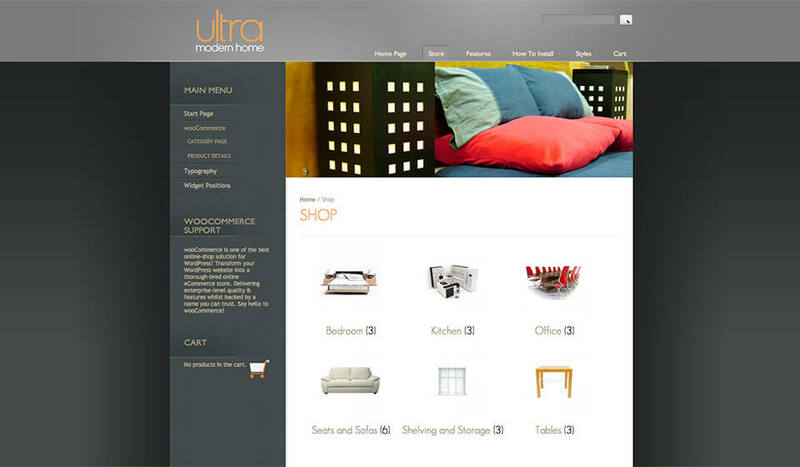 This is the first theme that we equipped with wooCommerce e-commerce plugin. 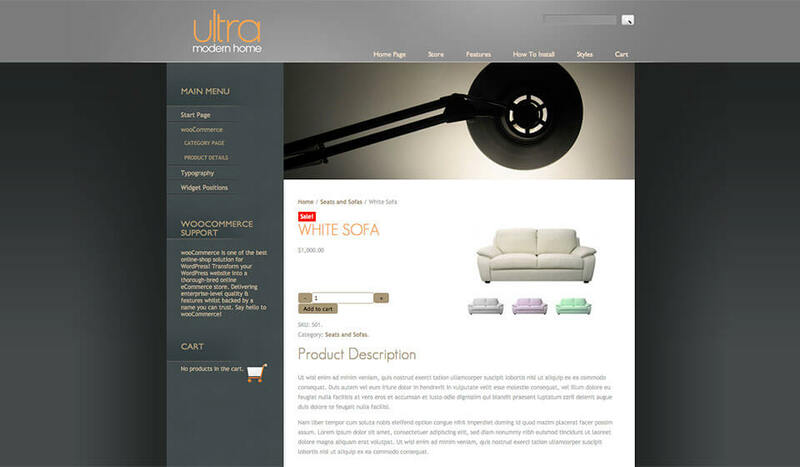 The entire Furniture WordPress theme is developed around the wooCommerce plugin. Altogether with this nice design, you will also get the online store out of the box. Regular blogging features are possible as well. 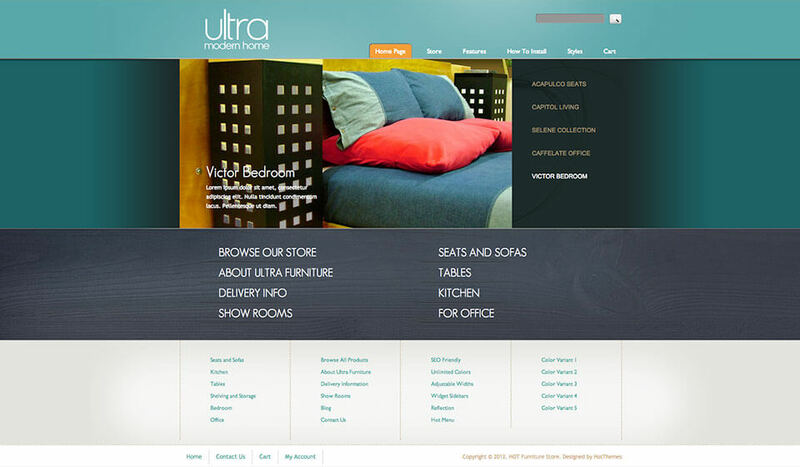 You can use this theme even without wooCommerce plugin. However, if you require to sell products on your website, you would certainly appreciate the e-commerce facilities. 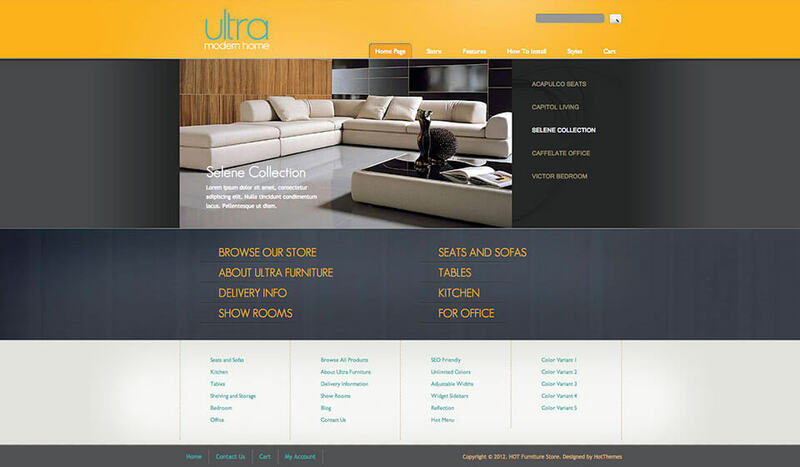 The inspiration for the Furniture WordPress theme design was the design guidelines of the modern furniture. Anyway, if you like this design, you can switch the theme’s purpose to any other field. You just need to change our demo products with the real products from your store. Finally, edit the sample payment and shipping methods and you are ready to sell your products! 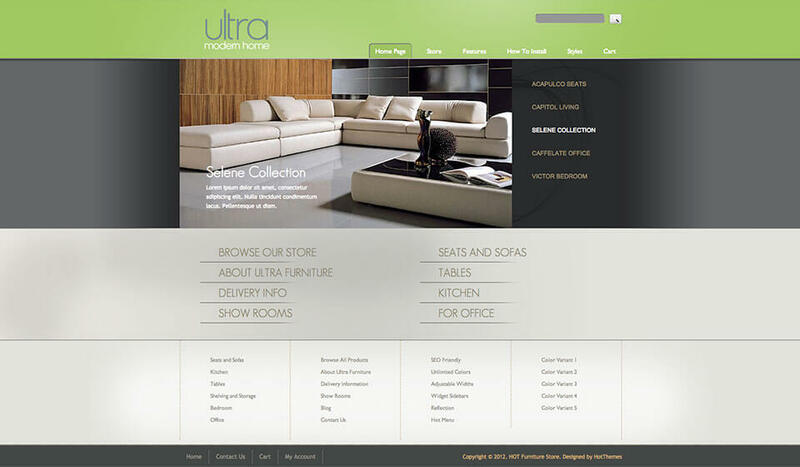 Furniture WordPress theme has strong furniture-like textures and straight lines. It contains striking footer area for the bottom widget. This makes the site navigation easier, regardless of the page visitor currently are. The Hot Newsflash plugin that you can see on the front-page is a typical element which welcomes your customers to the online store. 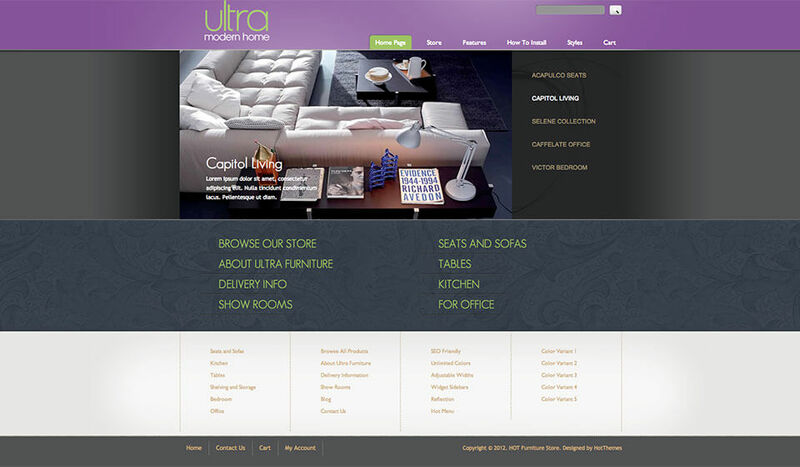 It also moves the navigation into the right direction towards the deeper levels of your site. 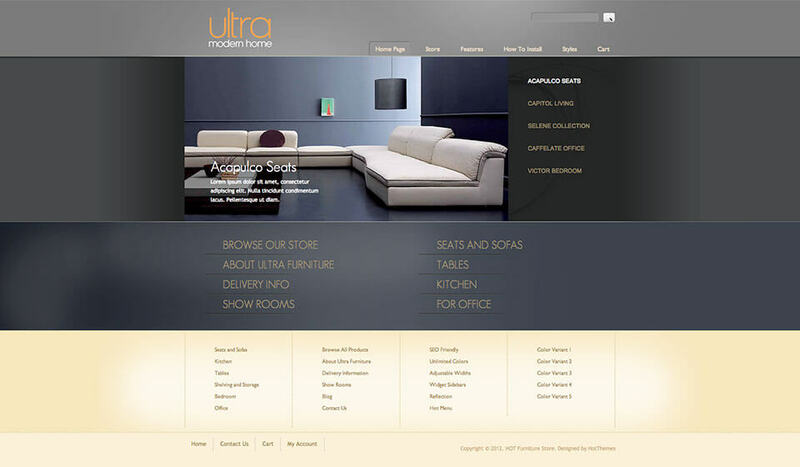 Beside this plugin, the Furniture WordPress theme is equipped with Hot Photo Gallery plugin. As seen on our demo, you can use it to include the lightbox galleries into your pages and posts. 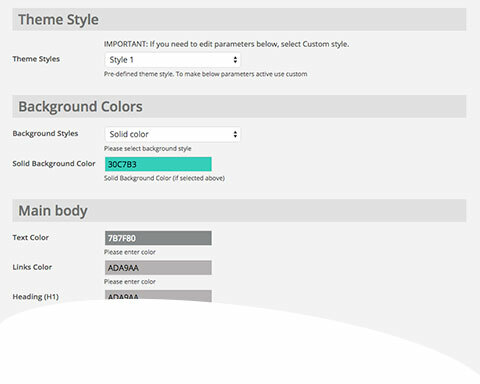 The Cufon technology is implemented for the custom fonts in this theme.